Team NEN member, PNE Group has announced the appointment of Tracey Moore as its new Chief Executive. Tracey takes on the role having led the organisation since Dawn Cranswick stepped down from the position in July 2018. Tracey, who has been an Executive Director of the Group since 2015, has 30 years’ experience of working in the enterprise sector. Her leadership expertise includes operational management and strategic planning for the Group as well as the provision of Executive Coaching to public, private and third sector leaders. Over the last 30 years, Tracey has directed the design and delivery of national programmes and worked internationally as a consultant for the Group’s largest clients. 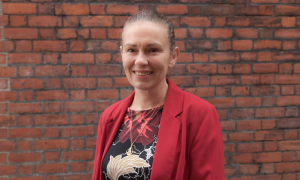 Tracey has also been the driving force behind the Group’s sustainability agenda, identifying a gap in regional enterprise services and supporting the development and launch of a range of services to encourage responsible businesses to start and grow. In 2018, Tracey was shortlisted for the Institute of Director’s (IoD) Yorkshire and North East Director of the Year Award. She also led the organisation to win the National Enterprise Network’s Enterprise Team of Year Award in the same year.